Voter ID regulations can be confusing - especially when English isn't your first language. They vary by state and often change at short notice. How can the latest voter ID details be delivered to thousands of people, when they want it, in the language of their choice, for the state where they plan to vote, by either SMS or Facebook? 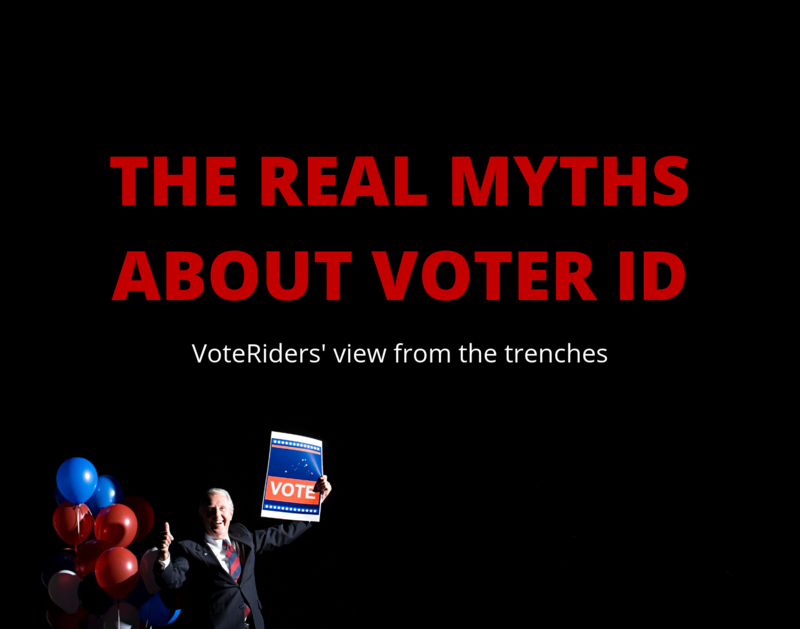 VoteRiders is a nonpartisan, 501(c)3 nonprofit organization founded in 2012 to educate and assist voters with voter ID issues. As people are increasingly relying on technology to get timely, personalized information, we are providing state-by-state voter ID information via social media, mobile devices and text messaging. As of 2016, around 40 million American citizens speak Spanish at home. Latino voters comprise one of the groups most at risk of facing barriers to obtaining ID to vote, so it is vitally important that information is available in both English and Spanish about voter ID and where to access assistance if needed. 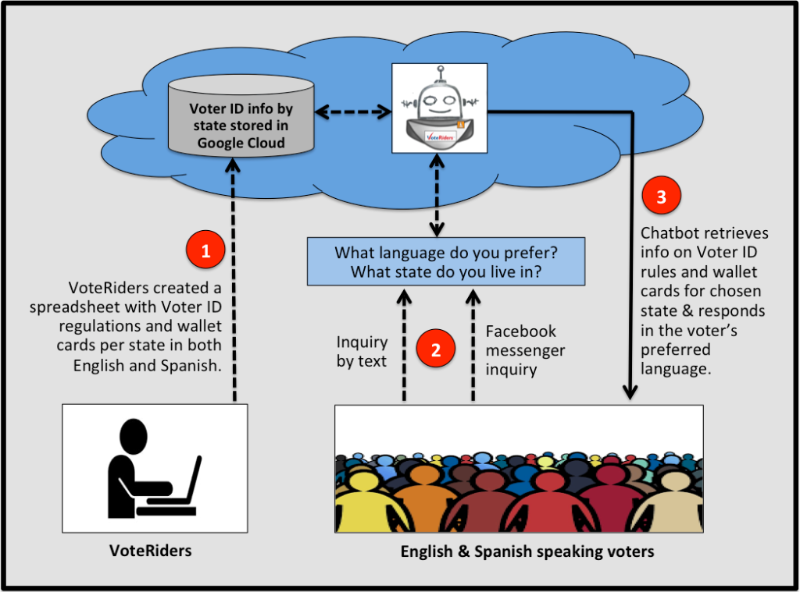 This is how VoteRiders and DemLabs use chatbots powered by commercially available technology from Google Dialog Flow, Twilio and Facebook Messenger to meet this need. Chatbot technology has advanced so that even small groups can set up simple SMS and phone call based chatbots for about $200/month. User-friendly application of technology to educate voters in a form that's convenient for them will increase participation. Contact us to learn how to apply chatbots for your cause. As the bots say "Sí, Se Puede!" Previous article	Creative ideas for Voter Education in Southeastern Ohio Next article	Georgia: Don't Let Anyone Stop You From Voting!